Betty and the Betties | Saving the World, One Song at a Time! Saving the World, One Song at a Time! The Betties sure know how to vogue to the music. Wait? Was that even a thing back in our day?? The verdict is in, and it’s true – we could not be loving ourselves any more if we tried! The location was perfect, and Pandy knew just how to direct us to get the perfect shot! Ps – there was no Madonna! We had a scrumptious time indeed recently performing twice in “Cabaret in the Box” at the State Library of Queensland presented by Jenny Wynter (who has never been seen in the same place as our Betty, hmmmm…) as part of Anywhere Theatre Festival. What a stunning backdrop and what gorgeous audiences we enjoyed, thanks so much to all who made the effort to join us. 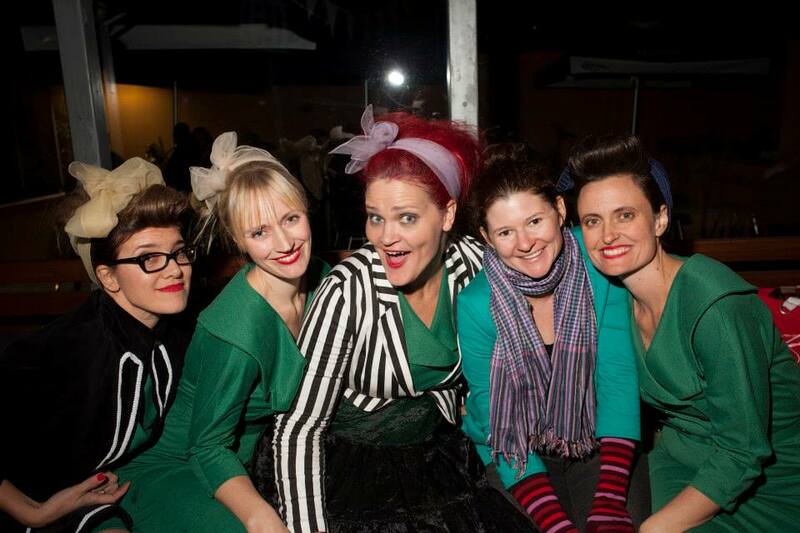 We then headed over to The Big Night Off to strut our stuff for some wondrous partying mamas. DELISH. 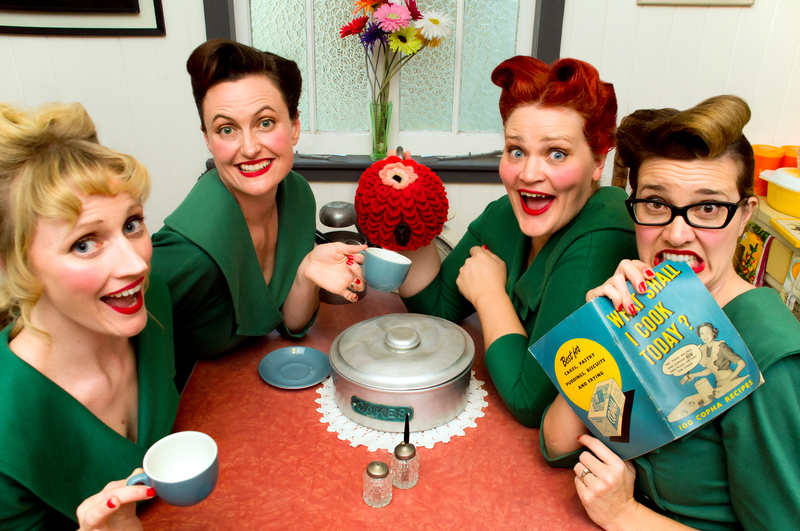 Some exciting things are happening around Chez Betty at the moment, will spill all soon! Betty, Betty, Betty and Betty. 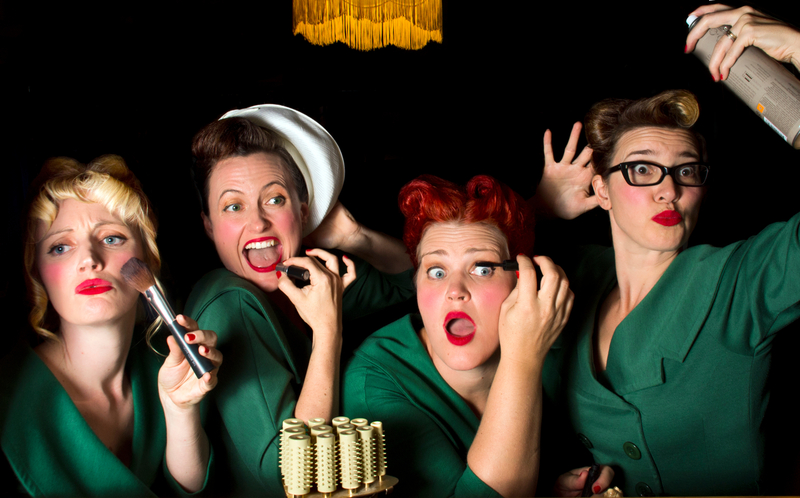 The Betties are Coming to Redcliffe: One Night Only April 27! Thank you so so much everybody who supported our pozible campaign. We made it and are coming to Adelaide Fringe! WOOHOO! (You can buy tix here). In the meantime, we are up at Woodford Folk Festival readying ourselves to strut on stage, on the streets and anywhere else we can manage to splatter our dear selves. We’ll be loading pics up on our Facebook page if you want to play along. Wishing you a wondrous New Year with much merriment, loved ones and of course, lippy. 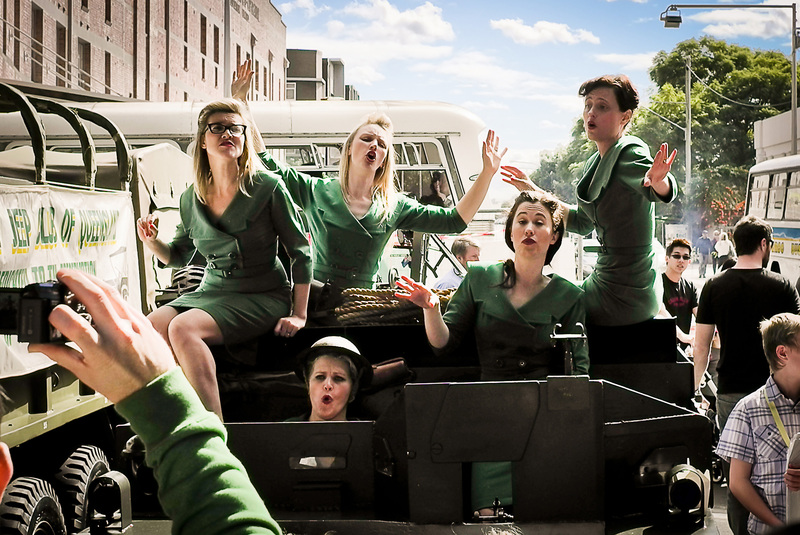 Only 10 Days to Go: Help Take Us To Adelaide Fringe! We are running a campaign on Pozible to fund our first ever your down to Adelaide Fringe! 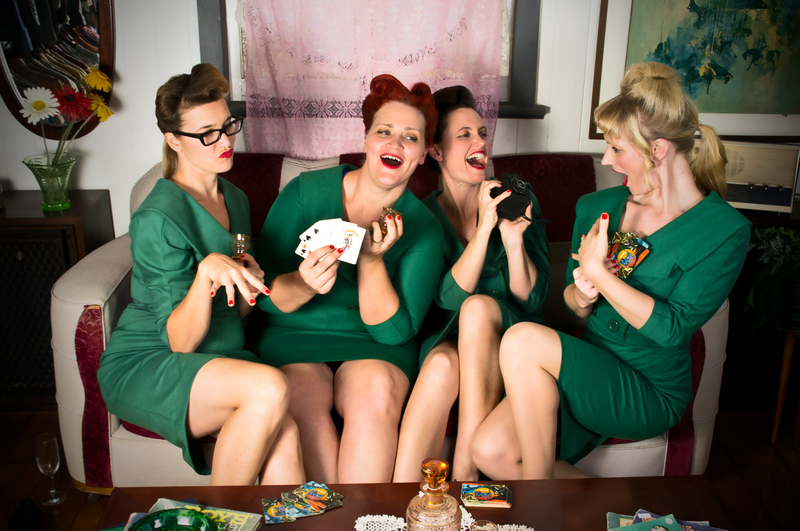 If you support us you can grab show tickets (to see us at Adelaide Fringe and/or Brisbane Comedy Festival in early 2013), DVDs, a vintage hairstyling session, even a cabaret party in your loungeroom and heaps more. Welcome to the home of Betty and the Betties! 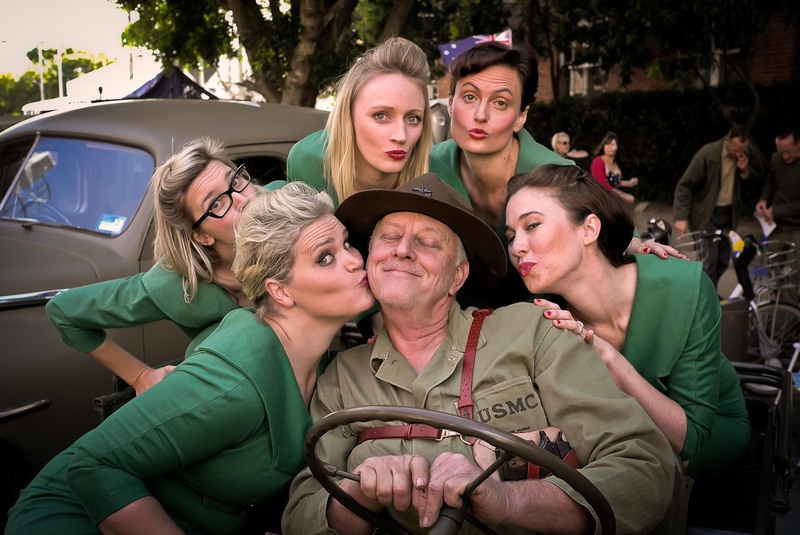 We are an Aussie 5 piece acapella cabaret group, bringing the swing and sass of war-time songs to contemporary Australian classics. We know it’s hard living in the world these days. Which is why we’ve taken it upon ourselves to entertain the bejinkers out of you troops of the first world. That’s right. We’re playing our part in getting you through these tough times, one acapella song at a time. Warning: when the chips are really down, we may even bring out our artillery of kazoos. Now please, keep your moxy in your poxy and sit back while we roxy! P.S. Join us on our Facebook page!